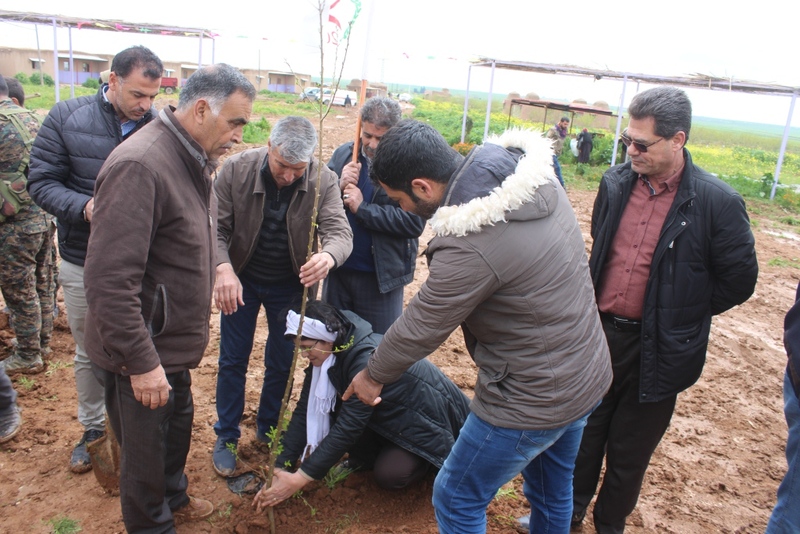 In the women's village Jinwar in Rojava a hundred saplings have been planted on the occasion of the birthday of Abdullah Öcalan. 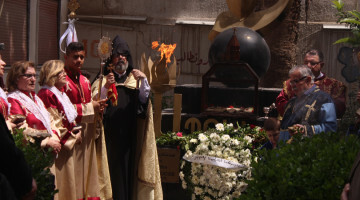 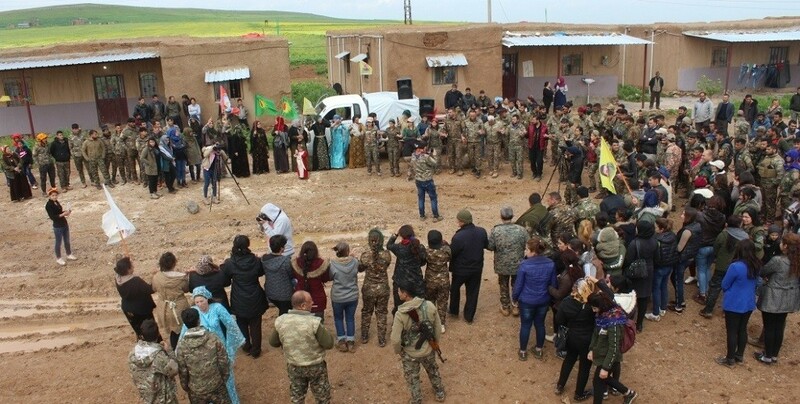 Hundreds of people from the region as well as YPJ / YPG fighters took part in a celebration in the women's village of Jinwar near Dirbêsiyê on the occasion of the 70th birthday of the Kurdish People’s Leader Abdullah Öcalan on 4 April. 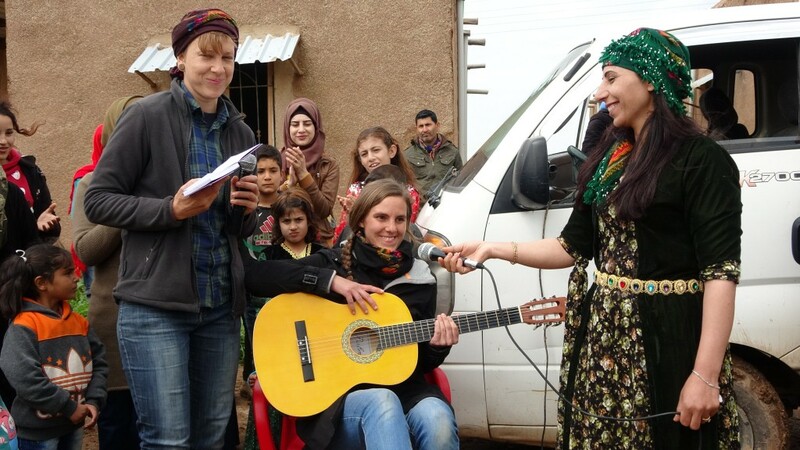 For the Women's Defense Units YPJ April 4 is also the anniversary date of their official founding six years ago. 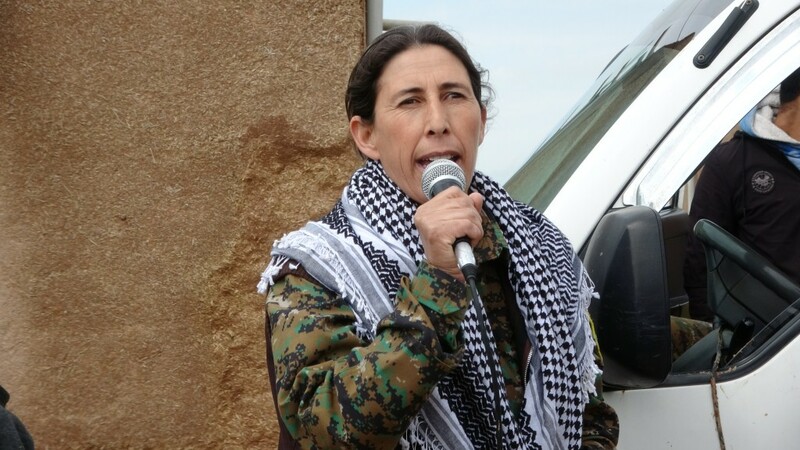 At the ceremony, a speech was delivered by YPJ commander Evîndar Efrîn who said that Öcalan's birthday was the day of women's emancipation from atrocity. 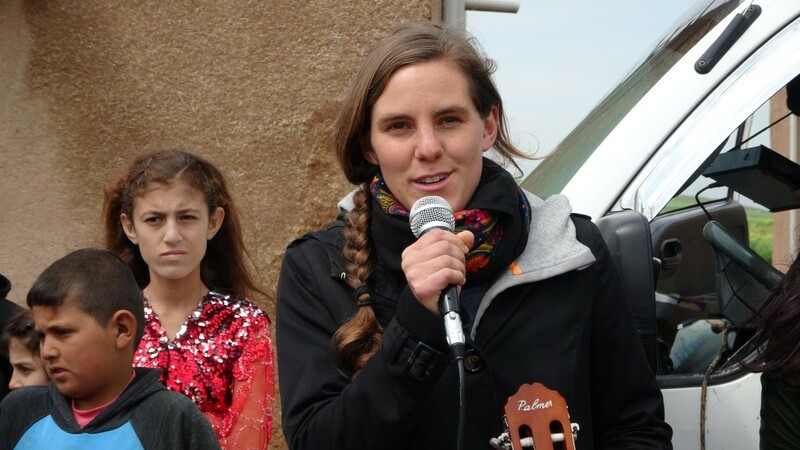 Internationalist Nûjîn Derya said in a speech that Abdullah Öcalan's thoughts have an impact on people worldwide. 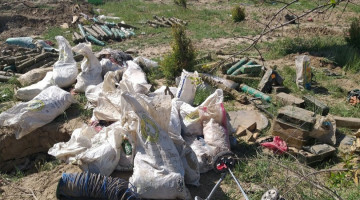 Following the speeches, a hundred saplings were planted in the village, then songs were recited and people danced halay.